ST. GEORGE — Following a multi-year elk poaching investigation, a Nevada judge has sentenced a Southern Utah man to pay more than $20,000 in penalties for the illegal killing and waste of a bull elk near Pioche, Nevada. 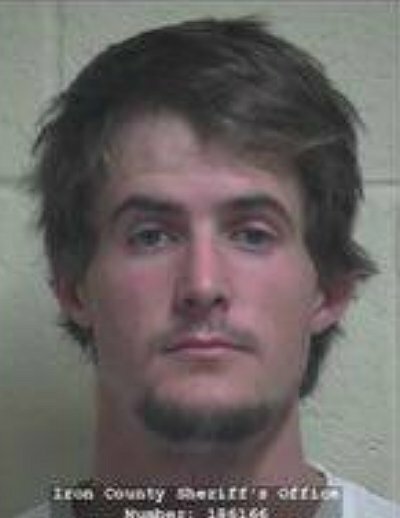 In addition to the civil penalty, Judge Gary Fairman, of the 7th Judicial District Court, ordered Zackry Holdaway, 26, of Cedar City, to pay $576 in additional fines and fees, according to a statement issued Thursday by the Nevada Department of Wildlife. As part of his sentence, Holdaway loses all hunting and fishing license privileges for six years. Holdaway was also given a suspended sentence of 32 months in state prison and ordered to serve five years of probation. Holdaway had pleaded no contest to unlawful killing and possession of the bull elk in January. The charge stemmed from an investigation which began after the Nevada Department of Wildlife Game Warden found an elk carcass beheaded and decomposing in August 2015 at Pearson Ranch in Lincoln County. A nearby trail camera captured images of an individual near the kill site before the elk’s death. The individual was later identified by the public as Holdaway after the Department of Wildlife issued a press release about the crime. “The release generated tremendous public interest around Nevada and Utah, leading to information indicating Holdaway’s involvement,” Wildlife officials said. After the identification was made, game wardens had to wait eight months for Holdaway to return to the United States from a guiding job in New Zealand. Upon his return, Holdaway was interviewed and subsequently arrested in July 2016. ” Holdaway loses all hunting and fishing license privileges for six years.” In this type of case, the perp should lose those privileges for life.